An application has been submitted for 126 homes in a village to the north-east of Lincoln, which would increase the population by at least a quarter. The proposed estate would be built on agricultural land off Barlings Lane in Langworth, where 500 people currently reside. Of the 126 homes, 120 would lie to the south of Barlings Lane, with the remaining six on the opposite side of the road. Access for vehicles would come from Barlings Lane and from a direct new road link to Station Road (A158) to the south-west corner of the development site at the request of local residents. Open space would also be provided as part of the proposed development and there would be parking spaces for 252 cars, or two per home. Globe Consultants, who have produced a planning statement for the application, added: “Opportunities for significant growth in Langworth are limited by areas of land being located within high risk flood zones. Only land to the south and west of the village avoids this serious constraint. 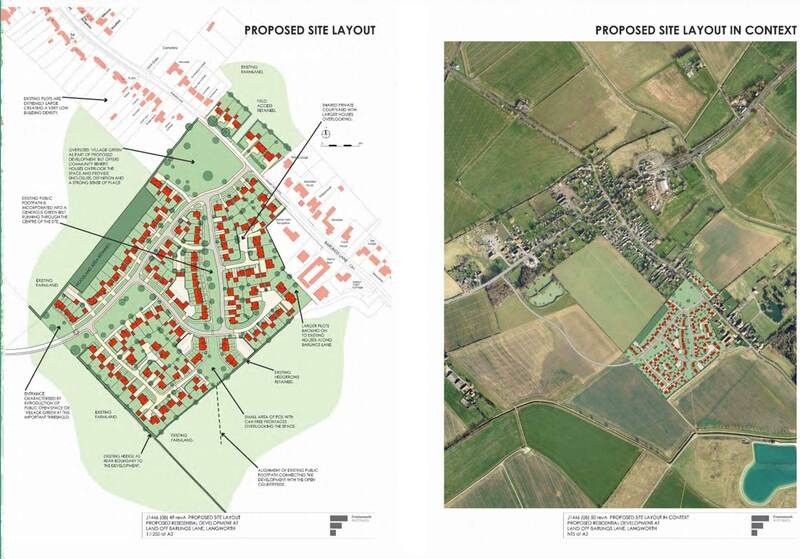 “The layout and design of the proposal will deliver a built form which responds to the rural character of Lincolnshire villages, avoiding the estate characteristics often seen in modern development delivered by volume house builders. A consultation has already been held with the community and parish council, and West Lindsey District Council will now consider whether to grant or refuse the application.